I don’t think there is a band in instrumental progressive metal today that has managed to impress me as consistently as Animals as Leaders. From the release of 2009′s stunning self-titled debut onward, they have filled my ears with what I might describe as a progger’s dream formula: rich, eccentric and boldly complex, yet melodic and ultimately heartfelt. Still, as enraptured as I was by the debut, AAL had left room for improvement. In the few years since however, Animals as Leaders have made audacious steps towards fulfilling their potential as the heroes of modern progressive metal. I raise you The Madness of Many; quite possibly the greatest statement in instrumental prog yet released in 2016. When I first heard Animals as Leaders just over five years ago, I remember feeling a rush of excitement that signified I was witnessing the birth of something major. I was not alone either; 2011′s Weightless and 2014′s The Joy of Motion took the prog community by storm, and left listeners wanting more, with a handful of detractors loathing the album with equal intensity. It’s not often a modern prog album divides and inspires audiences like The Joy of Motion did, and that reception evidently lit an impetus for Animals as Leaders to progress rapidly. The Madness of Many is indeed cut from the same proggy cloth as the debut and the previous two efforts, but this fourth full-length release is finally seeing Animals as Leaders come unto their own stylistically and going even further. Considering how impressive the previous two records were, this is a cause for excitement. 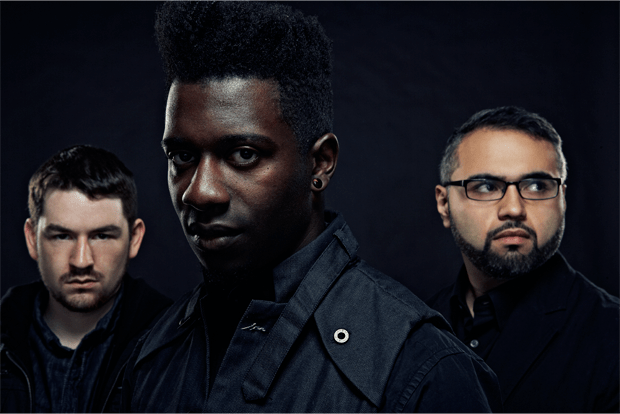 With The Madness of Many, Animals as Leaders place an emphasis on the weird and eccentric end of their style. Not only does their craft sound more focused here, they have also widened the range of their sound. Although they remain rooted in a framework of experimental prog fusion, the band is so often over the map that the music never gets boring. For instance, “Arithmophobia’s” uplifting atmosphere and epic scope give way to “Ectogenesis,” an experimental piece that finds identity in its unsettling rhythms and solos. “Cognitive Contortions” brings the progressive metal front and centre accompanied with Holdsworthian atmospheric guitar patterns, before giving way to “Inner Assasins,” an emotional zenith of the album that weaves Vai-inspired soloing and perfect drum work courtesy of Matt Garstka. “Private Visions of the World” is very jazz fusion-oriented; its somewhat laid-back vibe is just another display of versatility Animals as Leaders has. “Backpfeifengesicht” has everything from djent chugging to technical mastery Tosin Abasi and Javier Reyes are known for. At the very least, these examples should serve to convey what a rich variety of sound and style Animals as Leaders is drawing upon. Better still is how effectively The Madness of Many mixes this variety together. The band has taken some great steps towards smoothing out their proggy segues and detours. Although they’re still weighted towards complex arrangement and strict composition over the merits of more conventional songwriting, there are plenty of hooks to stave the album from dryness. “Transcentience” features a salvo of off-timed riffs and oppressive textures worth consideration even by the most seasoned progsters. Although it’s practically a requirement of the progressive metal label these days, Animals as Leaders‘ virtuosic capability as musicians cannot be underrated, and unlike many bands, they sound like they’re still trying to push their own envelope. Having been a fan of this band since the debut, it’s remarkably satisfying to hear Animals as Leaders having come so far from their roots. The Joy of Motion may have wowed me at the time, but with The Madness of Many, I’m truly sold on their sound. Solid arguments could be made for each of Animals as Leaders‘ four albums as to which one is the “best,” but one thing is for sure: The Madness of Many brings to the table what the other two somewhat missed; a sense of standalone identity. The Madness of Many is out on November 11 via Sumerian Records; pre-order it here.